This elegantly designed golf desk organizer is a great piece to add to your collection. 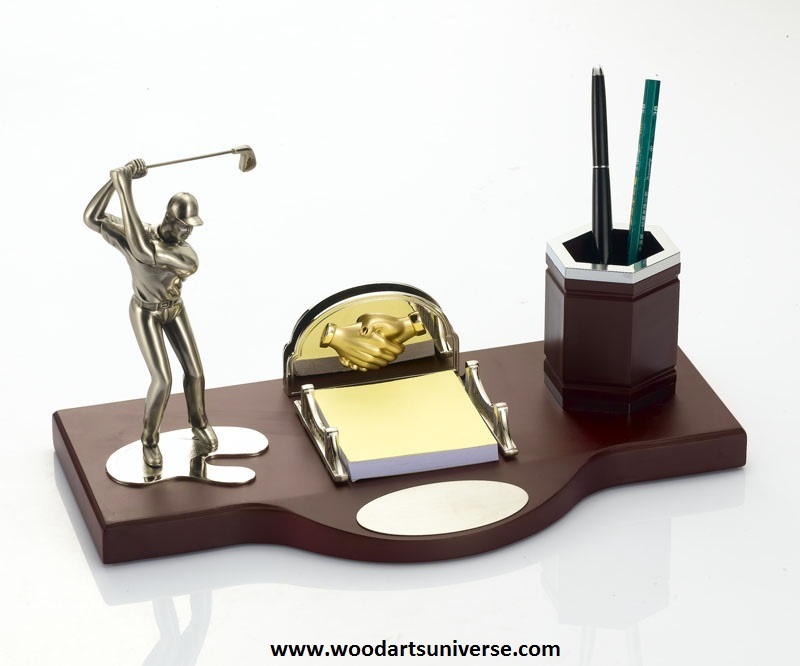 It features an elegant golf statue, business card holder, notepad holder and a pen holder. This set includes everything you need to give your desk a dose of debonair. 12.80" X 6.30" X 7.08"